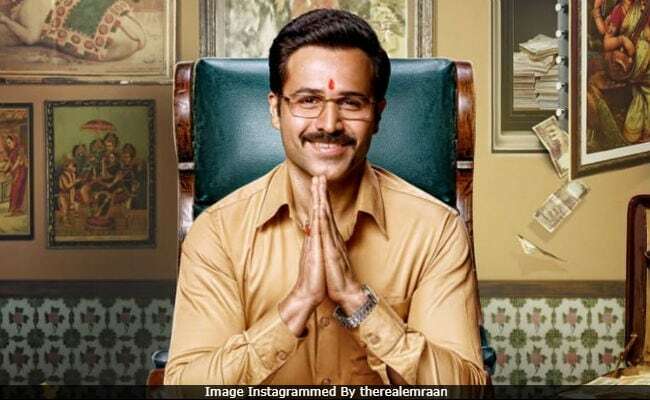 Why Cheat India Movie Review: Emraan Hashmi is supported by an able cast of little-known actors. Why indeed? The question is inevitable. The censor board-ordained prefix to the original title, Cheat India, is perverse. It adds nothing to the film nor, thankfully, does it take anything away from it. Why Cheat India plays largely by the norms laid down in Bollywood's cheat-sheet and is occasionally on the brink of veering off in ill-advised directions, but it stays true in the main to its chosen theme, the rot in India's education system, which is not a particularly easy premise to mine for high, nail-biting drama. Mercifully, writer-director Soumik Sen (whose first film Gulaab Gang succumbed to overt melodrama) does not even try. This understated two-hour take on the jiggery-pokery that is allowed to go on in this country in the name of entrance exams and coaching centres, benefits enormously from a restrained performance by lead actor Emraan Hashmi (who is also one of the film's producers). Emraan Hashmi keeps the complex character on a tight leash even as the suave, smooth-talking conman indulges in activities that aren't merely amoral but also border on the felonious. In his suitably seedy office, the wall behind him is covered with images of sundry goddesses, but his business hinges primarily on the future of small-town boys who are under constant pressure from their parents to crack the make-or-break entrance tests and land high-paying corporate jobs. The fraudster keeps an eye out for the toppers - there are obviously only a handful of them strewn across the country - and inveigles them into his rampant racket, which entails helping undeserving candidates from wealthy families get through the exams with the help of students who know the answers. It is a high-risk game, but the money is so good that finding accomplices willing to stick their necks out is a cakewalk. Supported by an able cast of little-known actors, Emraan Hashmi makes the flawed protagonist a completely believable wrongdoer who, driven by the lure of lucre, thinks nothing of making the most of this nation's collective obsession with grades and the availability of only a few thousand seats for millions of contenders each year in a handful of preferred streams - engineering, medicine, banking and business management. "I don't want to be a hero," he says by way of an explanation for his transgressions, "nor a villain, I am only a player and am playing the game." None of the other characters in Why Cheat India is rounded enough to stand out, but the anti-hero, Rakesh Singh "Rocky", has a back story that isn't dissimilar to the ones that he banks upon to drive his nefarious business. A Jhansi boy, Rocky is his family's black sheep. He failed his medical entrance tests thrice in a row and was forced into an early marriage. His brother, in contrast, is a successful surgeon in the US - another reason why his father frowns upon his coaching centre business although he has no qualms in accepting the money that Rocky sends home. Why Cheat India focuses on yet another family, that of Satyendra Dubey "Sattu" (Snigdhadeep Chatterjee), a young man who surprises himself and his father by standing 287th in an engineering admission exam. Rocky zeroes in on Sattu and, with a little coercion, brings him on board. Money starts flowing into the Dubey household and the patriarch, a middle-rung government employee, has no reason to complain. He has a marriageable daughter, Nupur (Shreya Dhanwanthary), and a wife who needs constant medical attention. The worm turns when an upright policeman receives a complaint from a father duped by Rocky. The scamster tries every trick in the book to buy out the man in uniform. He even helps the latter's son, a bright boy who refuses to bribe the invigilator and is therefore victimized, get out of a tight spot. But the cop refuses to budge. Why Cheat India blurs the lines separating good and evil. Rocky's philosophy is unambiguous: needs (zarooratein) never end but opportunities (mauke), dreams (sapne) and even life (zindagi) do. So grab your moment and make you move while you still have time, he says to somebody asking to be brainwashed. However, even as the unscrupulous hero appears to be flying high - he is brought down to earth only twice, once in a pre-intermission raid that yields neatly piled-up wads of currency on his premises, and next in the lead-up to the climax - the film somehow does not lose its own moral compass. A difficult balancing act is pulled off without lapsing into edification, with the exception of a rather unsubtle, shrill and gratuitous courtroom debate between Rocky and a prosecution lawyer. The film also offers a hint of a romance between a married man and a younger girl. Rocky admits that he hasn't been single for nine years but the woman, an arts graduate struggling to find her footing in a corporate job in Mumbai, plays along. This relationship eventually becomes the trigger to a crucial plot twist.